I love using body scrubs, but they are so easy to make that I can't really justify spending a lot of money on them and would rather make my own. During summer citrus flavoured ones work well as the zing of the citrus feels cooling on the skin, but come winter time and I like ones with sweet honey scents, like this brown sugar, honey and almond oil scrub. Here's how you can make your own. Half a cup of soft brown sugar - brown sugar is gentler than white sugar so it's good even for sensitive skin. Two teaspoons of honey - honey is naturally high in antioxidants and helps skin retain moisture. Two teaspoons of essential oil - I used almond oil as it contains vitamin E and is super moisturising on dry skin, but you can use other oils too like olive, rosehip and walnut. I buy my oils from Priceline or other pharmacies and they're all fairly cheap, usually less than $10. Small jar or container - I used an empty Dolmio pesto sauce jar! Have you ever made your own body scrubs? So simple, I am going to give this a try! You have to! It's absolutely simple and takes less than 5 mins to prepare. im going to have to try this! i have never made my own body scrub, but i have tried lip scrubs before. i love DIY stuff like this! Me too, I love simple DIYs because if it's to much effort I just won't bother! LOL. You're welcome! It's very very easy, the only problem is sometimes it smells so yummy you just want to eat it LOL. Hey Lilit , was just wondering can we store this ? Can we also substitute this with raw sugar ? I normally make only enough for 3-4 weeks use and there's no problem storing it for that long. I don't know how well it would keep longer than 4 weeks though. And yes you can definitely substitute with raw sugar... just bear in mind raw sugar is coarser so you shouldn't use it on your face but you def can use on the rest of your body. Good luck! I am going to have to give this a try, wonderful! You are the DIY queen Lilit! Wow that looks great! Might have to make myself one of these. 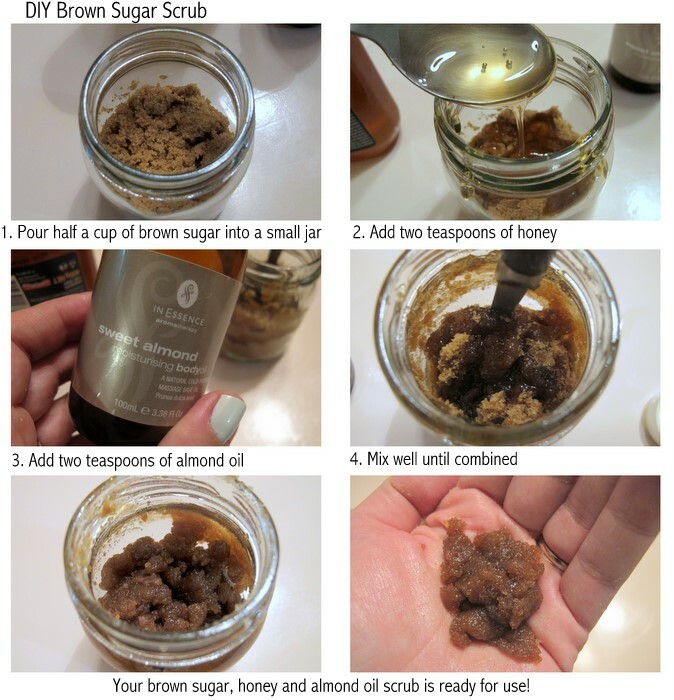 I never thought of brown sugar for scrubs, always raw, brown seems like it would be much nicer on the face! I have tried this in the past but with baby oil and white sugar... I'll have to try this! Thanks! I've tried homemade lip scrubs, of course. But not a body scrub. :D Definitely seems worthwhile. I am a regular follower of your blog. I like the stuffs and tips that you give.Thank you for your tips. How long does this scrub last? how can we increase the self life?